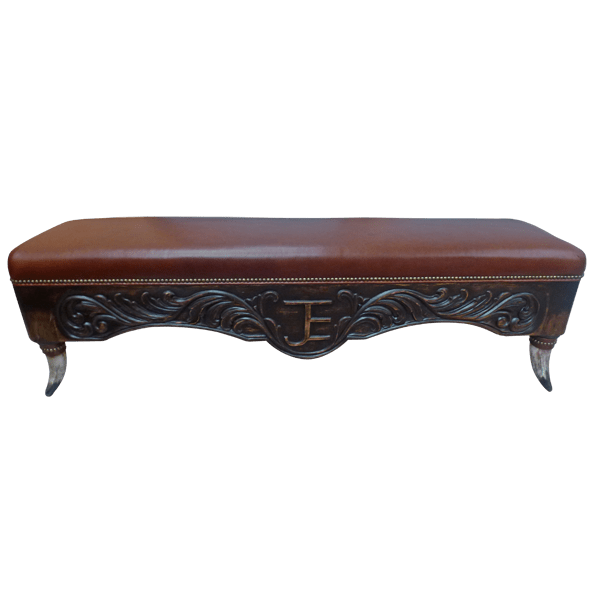 This gorgeous, handcrafted, Western style bench features an exquisite, Spanish colonial style, curved, front apron, and centered in the apron is a hand carved, ranch brand. Each side of the ranch brand is adorned with lovely, hand carved, floral details. We can include in the design of the bench your ranch brand, your initials, or any hand carved details that you would like. Designed without a back, the comfortable, well padded seat is upholstered with rich, earth colored, full grain leather. Bordering the upholstery is a leather braid, and the upholstery and the leather braid are separated by hand tacked, gilt nails. 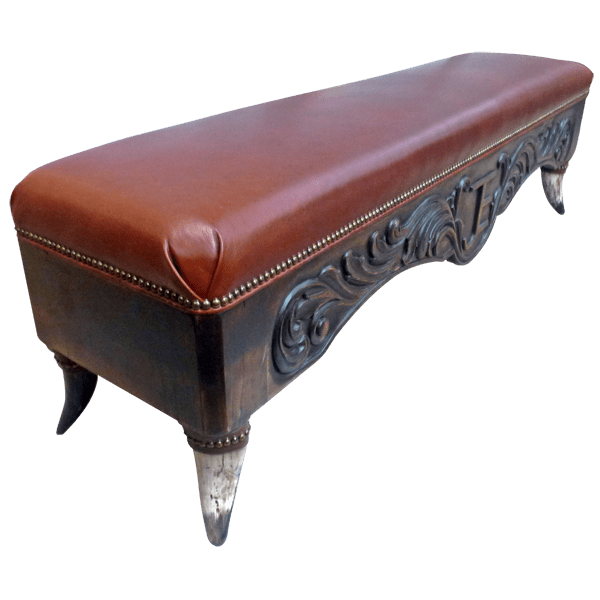 The bench rest on sturdy, inverted, cow horn supports, and the hilt of each horn is embellished with a leather strap secured by decorative, gilt nails. It has a dark finish, and it is made with the best, sustainable, solid wood available. The bench is 100% customizable.